2019 2 Day Hands on Dental Medical Billing in Los Alamitos, CA at Trojan Professional Services Headquarters. Our interactive course lets all participants have fun while learning. We teach to all learning styles through games, computer teaching, lecture, and class interactivity. 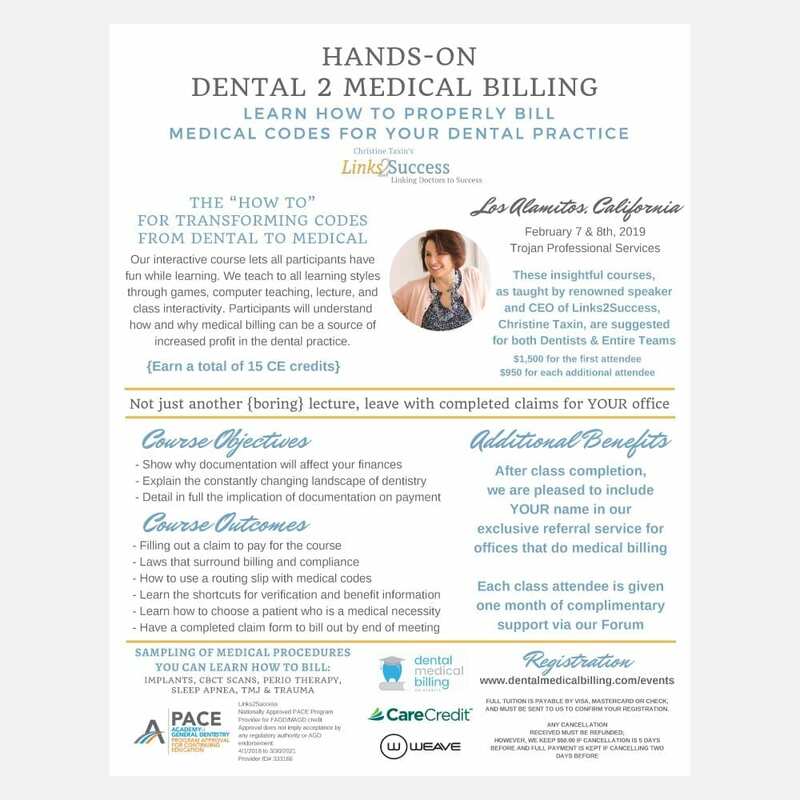 Participants will understand how and why medical billing can be a source of increased profit in the dental practice.